E is for Explore! : Big, Bigger, Biggest Sentence! 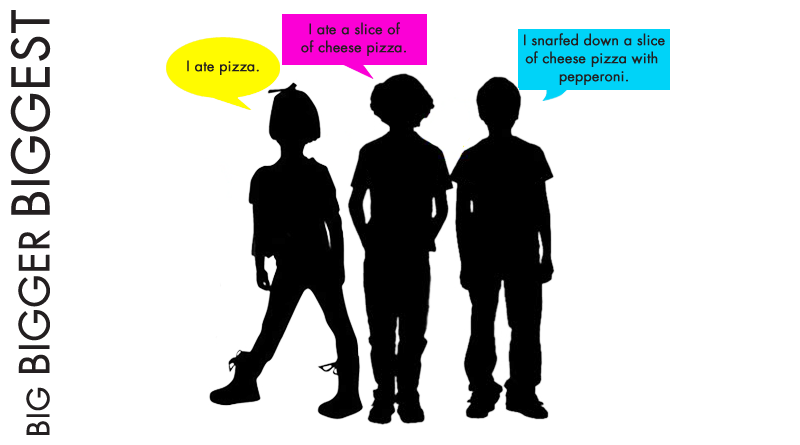 This whole group activity helps students learn about sentence stretching from their peers. They work as a group and learn by watching their classmates. First, split students up into groups of three. Each group comes up to the front of the classroom. The first student makes up a simple sentence. The next person adds more detail. The third person adds even more detail. The group stays up there until each group member has had a chance to create a simple sentence.